Meeting the most demanding industry requirements for power cable terminations using heat shrink and cold shrink technology. 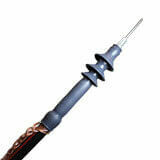 Shawcor offers a range of comprehensive cable terminations for the electric utility, industrial and renewable energy markets. 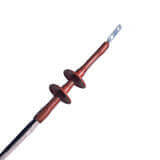 The medium voltage cable termination kits are factory-designed and independently tested to IEEE48 standards. Power cables are extensively used in the underground distribution of electricity and typically tap off power at overhead lines using a variety of termination products. One of the most common ways is the use of cold shrink technology that does not rely on any additional tools during application. 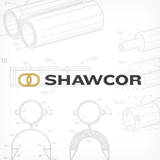 Titan Z cable terminations from Shawcor offer an evolutionary design that brings the benefits of fewer installation steps and superior technical performance as well as the lowest-installed-cost product on the market. 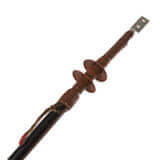 Heat shrink cable terminations for 1/C and 3/C, 5 kV to 35 kV shielded and non-shielded power cables are used in the electrical utility market. The CT series heat shrink cable terminations rated 5 kV through 35 kV are designed for single and three-core, non-shielded, metal tape, drain wire shield, bare and jacketed concentric neutral and LC-type shielded cables. These cold shrink cable terminations are designed for single-core, 15 kV to 35 kV XLPE and EPR bare and jacketed concentric neutral underground distribution cables for the electrical utility market. These cold shrink cable terminations are designed for single-core, 15 kV to 35 kV XLPE and EPR longitudinally corrugated shielded underground distribution cables for the electrical utility market. These heat shrink cable terminations are designed for single-core, 15 kV to 35 kV, bare and jacketed concentric neutral underground distribution cables for the electrical utility market. These heat shrink cable terminations are suitable for single-core, 15 kV to 35 kV, longitudinally corrugated shielded cable for the electrical utility market.